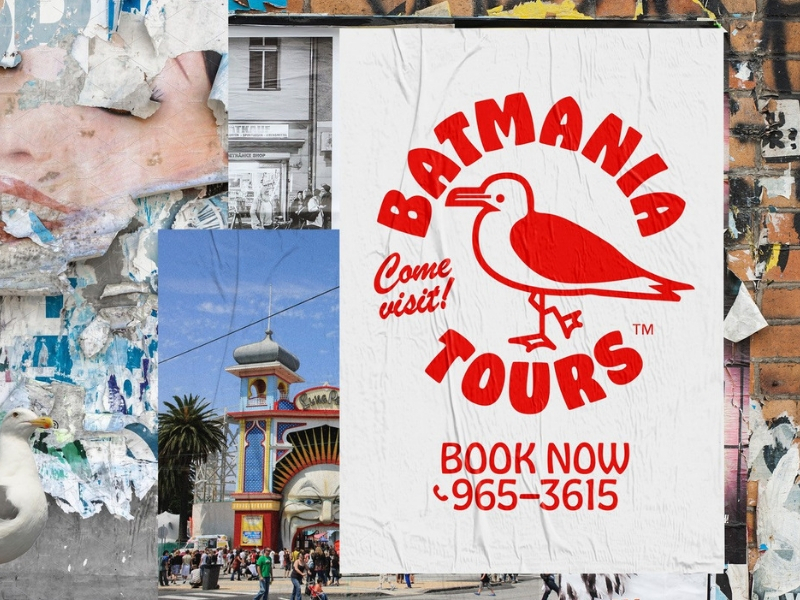 Visit Batmania, Melbourne’s most popular holiday destination! Take your seat aboard the Batmania Tour Bus. Enjoy the sights on a fully guided journey through the dark heart of Australian history, culture and politics. Batmania is a surreal, twisted, horror comedy where tourists will be confronted with all that this great, southern land has to offer. Ride a kangaroo! Get a photo with your favourite white colonial, male hetero! Buy an Australian flag from our gift shop! Or simply kick back and enjoy some of the freshest produce the Batmanian Tuckshop has to offer, including a selection of fresh Murray Cod, Calipos and fine wines organically sourced from the Coal Regions of Adani. There is something for everyone in Batmania. Come visit and discover exactly why this place is called the “lucky country”.